Here the tree-stump tombstone is carved into the form of an empty chair. The chair back and the arms of the chair (one is missing) are formed out of tree branches with the stump forming the base of the chair. On the back of the chair hangs a man’s hat. 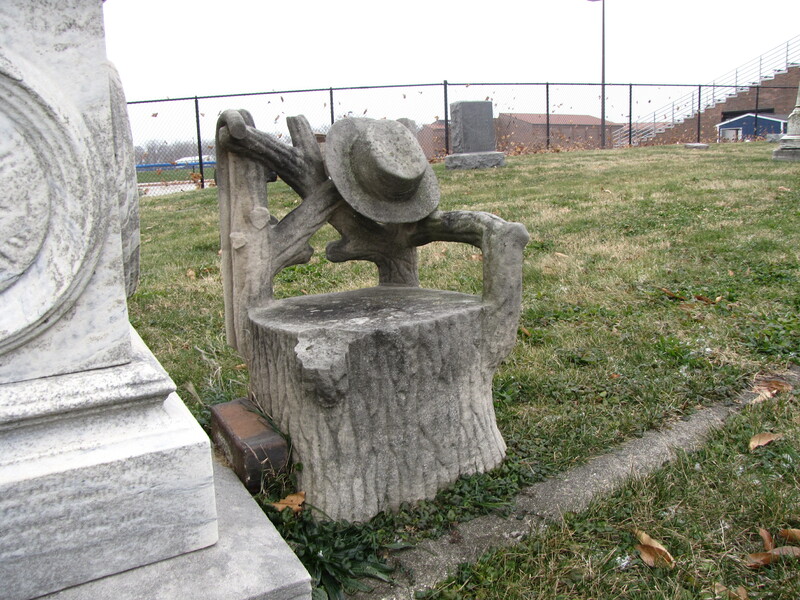 This tombstone depicts a lonely scene. In funerary symbolism the vacant chair symbolizes the loss of a loved one.